This is truly bread in the wilderness! The Psalms, which Thomas Merton called “one of the most valid forms of prayer for men of all time,” are the most significant and influential collection of religious poems ever written, summing up the theology of the Old Testament and serving as daily nourishment for the devout. Bread in the Wilderness sets forth Merton’s belief that “the Psalms acquire, for those who know how to enter into them, a surprising depth, a marvelous and inexhaustible actuality. 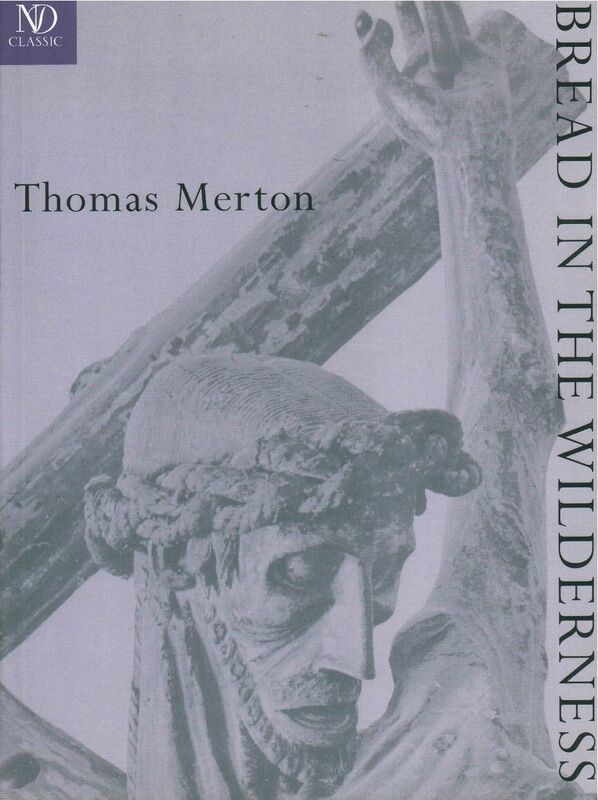 They are bread, miraculously provided by Christ, to feed those who have followed him into the wilderness.” Merton’s goal in this moving book is to help the reader enter into the Psalms: “The secret is placed in the hands of each Christian. It only needs to be discovered and fulfilled in our own lives.” The new ND Classic edition of Bread in the Wilderness faithfully reproduces the beautiful, large-format original 1953 New Directions book, created by the celebrated designer Alvin Lustig and lavishly illustrated throughout with photographs of a remarkable medieval crucifix at Perpignan, France.